MAGGIE SAWYER: After the population boom of aliens appearing in National City, the NCPD had to come up with a way of managing and investigating alien crime. The answer was the newly formed Science Police division. Detective Maggie Sawyer joined up and began investigating alien related crimes across National City. In her adventures, Maggie came across several incidents that involved Supergirl and her sister Alex Danvers. The three formed a good working relationship that both Alex and Maggie use that relationship to benefit both the Science Police and the D.E.O. Maggie is also a lesbian and has since helped Alex Danvers discover that part of herself as well. 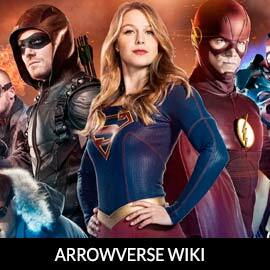 For more info on Maggie Sawyer, check out our partners at ArrowverseWiki.